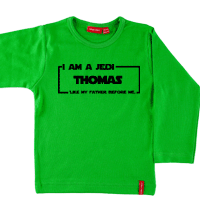 The perfect gift for all Star Wars enthusiasts! 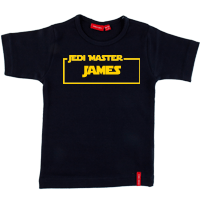 Are they a Jedi Master, Jedi in Training or a Jedi like their father? 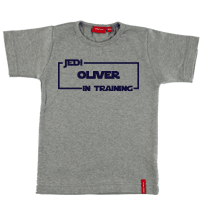 These Star Wars T shirts will be appreciated by all fans of the films. 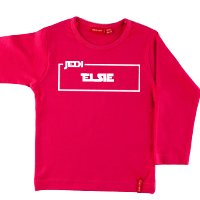 We have designed a film surround which you can add a name to, creating an original t shirt or bag. 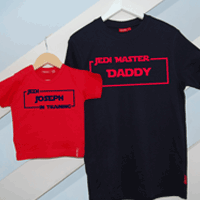 Create a matching set to include Dad for a fun Father's day gift that can be worn all year round!